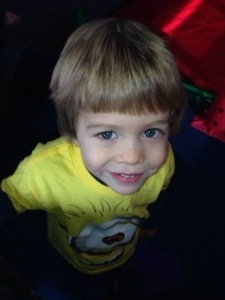 Last Saturday we celebrated Luke’s third birthday. It was a great day filled with fun, friends, and food. He had a wonderful time! 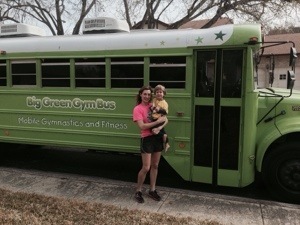 He had seen the Big Green Gym Bus at another friend’s party and insisted that he wanted it to come to our house, too. Soooo, being the great parents that we are, we made our three year old happy and invited the green bus to come on over. 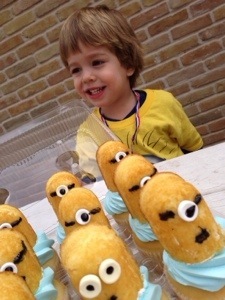 He wanted to have a “minion birthday” so I whipped up these cupcakes. They turned out cuter than I expected. Thanks, Pinterest! Overall the day was great. We had a wonderful time as a family. We are so thankful for this sweet, fun boy. He will certainly be a joy to parent for the next fifteen years! 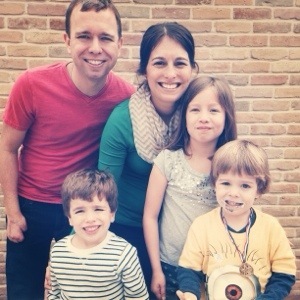 Luke’s birthday has made me reflect on our family. He is the baby, but he is not a baby anymore. We are actually done with diapers in our house. We’ve told Luke for months that “when you turn three, you get to wear big boy underwear!” I’m not sure I thought that one through well enough. Now I’m stuck potty training. Once we are all done with that we will really be past the baby stage. I have mixed feelings about it. I love babies, but I also love not having to change diapers or wake up in the middle of the night. I suppose I’m ready for the next chapter in this exciting adventure we call life! God is good!! !